As you log in, you can see most basic informations about the organisation you compete in. First of all, on the top of the page you can see which organisation are you logged in (because you can be part of more organisations) and your profile menu link. Furthermore, you can always find the dashboard toolbar near the top of the screen. 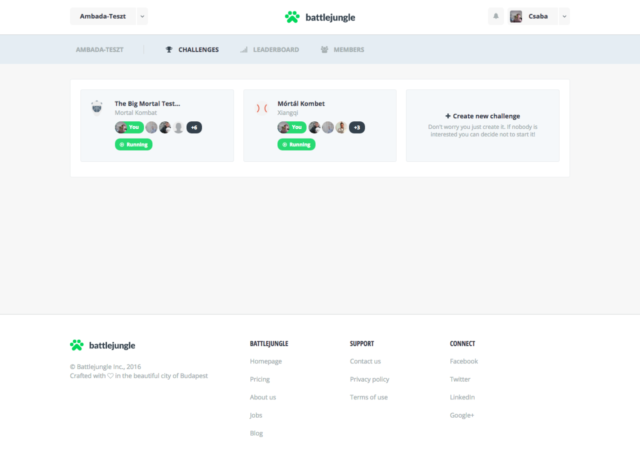 On the dashboard you can navigate easily to get an overview about your upcoming match, recently launched challenges, other members, etc. 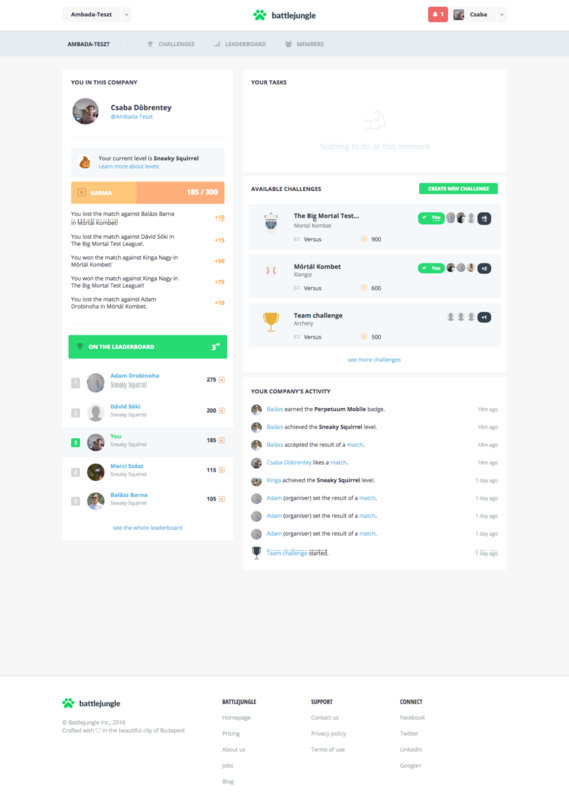 On the Dashboard you can see “Leaderboard” if you click on that, you shall see all members of the organisation, your colleagues in the company. They are listed in decreasing order: first has most karma, last has least karma points. About karma scoring system you can read more here. You can see the most recent changes about obtained karma points. The next button on the tool bar is “Members”. In this tab you can see all participants at the company. Furthermore you can find basic information about their activity and profile data: by clicking on a participant you can see their place in the leaderboard, latest match results, badges and awards and all profile information. Here you can still see your navigation bar – as called as dashboard. You can also find here the list of available challenges inside the organisation. On the challenges you can see how many players participate in a given challenge and also the name and short description of the challenge. If you move your cursor over the participant’s thumbnails, you can see their level and other basic information about them. Lastly, you can create new challenges as well, click here to read more about creating challenges.